Today’s flight was the 12th for the VSS Unity, and its first powered flight. Earlier today, the VSS Unity went supersonic during crewed tests, reaching speeds of 1,220 miles per hour. 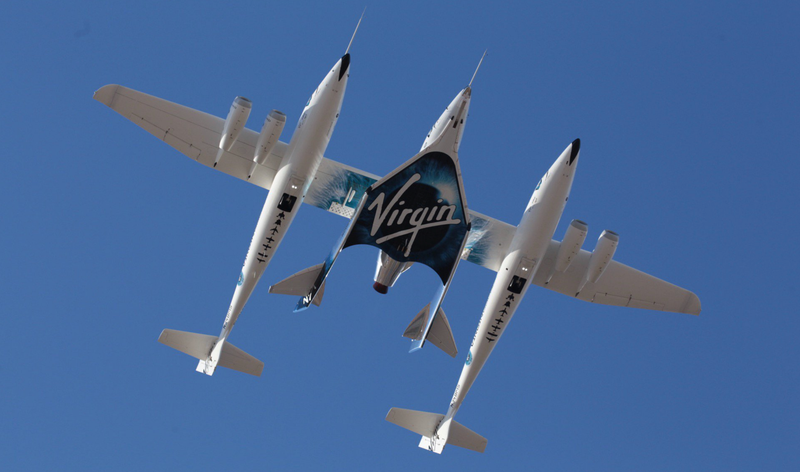 It’s the first powered flight of Virgin Galactic’s new SpaceShipTwo aircraft, and the first flight since the 2014 disaster in which a pilot was killed and a co-pilot severely injured. After detaching from the carrier mothership VMS Eve, and gliding above the Mojave Air and Space Port in California, the VSS Unity fired its rocket engines for about 30 seconds, attaining a maximum speed of Mach 1.6. The experimental spaceplane, with its crew of two, landed shortly thereafter at around 12:05 pm ET, according to Virgin Galactic. Though just a test, it’s an important milestone for the Richard Branson-led company, which aims to eventually offer suborbital flights to space tourists. Back on October 31, 2014, Unity’s predecessor, the VSS Enterprise, crashed, killing the pilot and badly injuring the co-pilot, who survived by deploying his parachute. An official investigation found that the craft’s braking system had been deployed prematurely by the co-pilot, resulting in the “in-flight anomaly.” All ensuing flight tests were canceled as Virgin Galactic worked to remedy the various deficiencies, both procedural and mechanical. Two years ago, the private company introduced an updated version of the spaceplane that would replace the destroyed SpaceShipTwo craft. The Enterprise was built by aircraft developer Scaled Composites, but the updated version was manufactured by The Spaceship Company, a California-based subsidiary of Virgin Galactic. The VSS Unity, named by the late physicist Stephen Hawking, had been undergoing engine and gliding tests over the past several months. Today’s successful test, with pilots Mark Stucky and Dave Mackay at the helm, means the company can continue to move forward with its plans. Eventually, Virgin Galactic would like to have a fleet of these SpaceShipTwo suborbital spaceplanes, each capable of carrying paying customers 68 miles above the Earth’s surface—a full six miles higher than the so-called Kármán line, which is conventionally used to mark the edge of space—and back. The estimated price tag for a single trip will be $250,000, but the spaceplane could also be used to carry science equipment and measuring devices to high altitudes for NASA and other organizations.